Frame Vernacular. Complex of 5 buildings, 2 to 3 stories, the first having been built in 1883. 2 built in 1926 and 1929 are stuccoed and have Jacobethan-style elements. 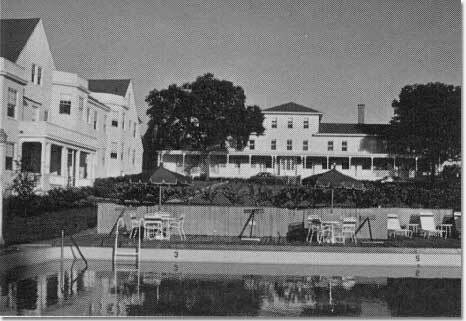 The main building, 2 stuccoed buildings, and an Olympic-size pool (1929) define a quadrangle. A highly successful tourist facility of the late 19th century and early 20th century. Recently restored to its 1920s appearance.